The Brunner-Bland & Kroft Rooms can be used as one large room or as two separate rooms with a floor-to-ceiling retractable partition. 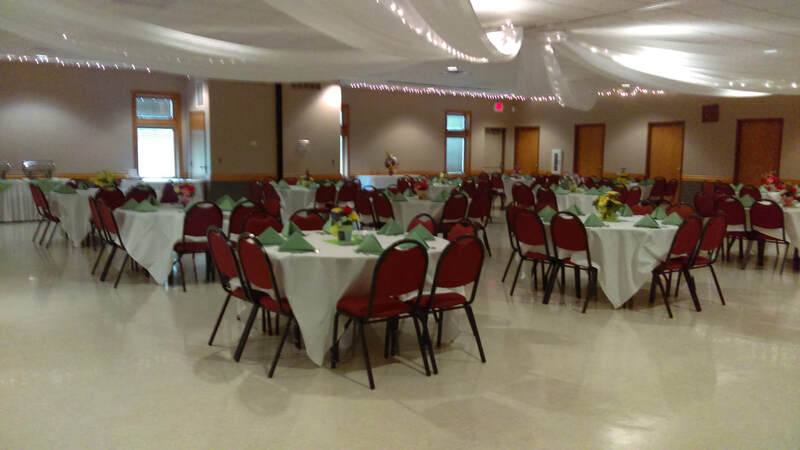 This is a perfect space for a wedding ceremony, family gathering, business meeting, holiday party, and much more! 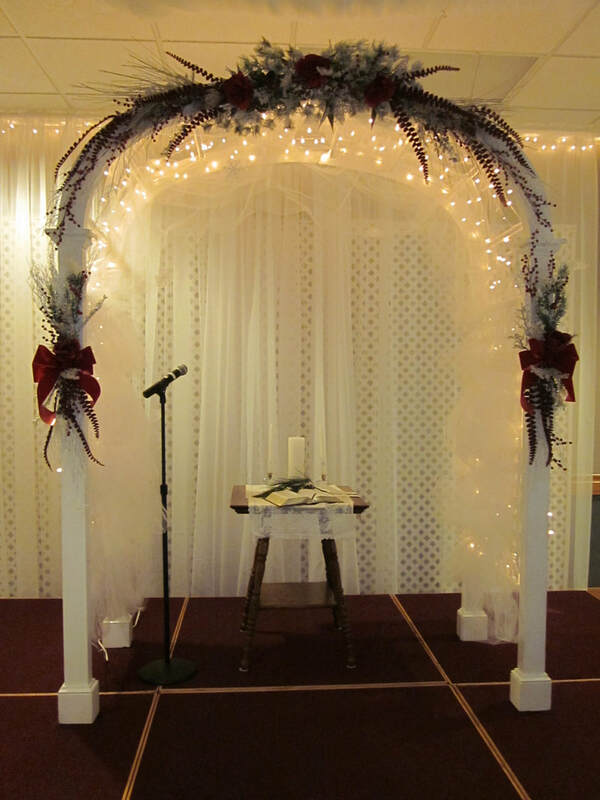 These rooms offer an intimate setting for your ceremony and for a smaller reception! Contact us today to book your events! Capacity Individually: Theater - 100 persons; Rounds - 80 persons; Classroom - 48 persons; Conference (U-shaped) - 40 persons. Capacity Combined: Theater - 200 persons; Rounds - 180 persons; Classroom - 96 persons; Conference (U-shaped) - 60 persons. Features: Ceiling-to-floor, noise dampening, retractable partition; ample outlets; fluorescent and recessed lighting. Audio/Visual: Sound system with 5-disk CD/DVD player; Cordless microphones; Ceiling mounted retractable video screen (Brunner-Bland Room only). Audio can be combined to accommodate both rooms. Flip charts, dry erase boards and easels available upon request. Food Service: Food service available for both rooms.